In the state of New York, many different behaviors while driving could result in you getting a ticket. From driving too fast to parking in the wrong place, you could be accused of breaking the law. When you are ticketed, it is important to understand the implications of the accusation that has been made against you. Far too many people think traffic tickets are just a minor inconvenience and simply pay the fine and move on with their lives. Unfortunately, your ticket can come back to haunt you when your insurance rates rise, if you are disqualified from a job that mandates a clean record, or if you are ticketed repeatedly and the state tries to take your license away. You should not just pay your ticket and accept the police officer’s judgement that you violated the law. A ticket is an accusation of wrongdoing and you have rights to fight the claims made against you. NY Traffic Firm can help. Give us a call today to find out how NYC traffic ticket lawyers can help you to protect your clean driving record and avoid the undesirable consequences that a traffic ticket can cause. New York State’s Vehicle and Traffic Code is very comprehensive. There are rules regulating virtually every aspect of driving, from requirements that you must fulfill before getting a license to rules for when and how you can travel on New York roads. 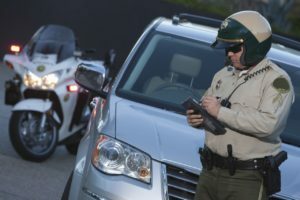 If you fail to follow any of the laws, you could be faced with a citation for a traffic law violation or could even be charged with a traffic crime. When you are ticketed, you have to determine how to respond. The best response is to get legal help from an attorney who knows NY’s traffic code inside and out and who can help you to develop a strategy for avoiding fines, high insurance costs, black marks on your driving record, and other undesirable outcomes. Our firm also provides assistance when a young driver gets a junior license traffic ticket, and when any motorist has failed to respond to a citation. If you do not respond to a ticket as required by the deadline specified on the citation, the serious consequences of this failure to respond could potentially include loss of driving privileges and could sometimes result in a judge issuing a bench warrant for your arrest. These are just some of the many types of traffic tickets that our firm helps you to fight. We understand that many good drivers make mistakes on the road, and we know that many tickets are issued without justification by police officers who need to make their monthly ticket quotas. We also know that your ability to maintain your driver’s license and to have affordable auto insurance are vital to being able to fulfill all of your work and family obligations. We take our responsibility to fight for your driving record very seriously. As experienced traffic law attorneys, we can explain what penalties you face for these and other violations and we can help you to determine what your legal options are. We provide affordable, knowledgable representation and will try to get your traffic case resolved in a timely manner with the minimum of cost, stress and long-term consequences to your future. Why Fight a Traffic Ticket Instead of Just Paying the Fine? If you get a ticket and you pay the fine, you have admitted that you are guilty of the offense that you were accused of. You will forever lose the chance to defend yourself and to avoid the undesirable, long-lasting consequences that go along with a traffic ticket on your record. The fine that is associated with the ticket is just the tip of the iceberg when it comes to the possible penalties that a traffic ticket can bring to you. Your insurer will view you as a high-risk driver after most types of tickets, so you can expect that you will face higher insurance premiums. Fines and legal consequences can become more severe for some repeat offenses, so the ticket on your record could affect any future traffic cases against you. And, if you want a job that requires a clean driving record, you will be unable to get one as long as the black mark from the ticket remains on your driving record. Not only do you have to deal with all of these downsides, but you will also get points on your license after admitting guilt for most violations. Points will vary depending upon the specific offense that you were cited for. Unsafe lane changes, for example, could result in three points on a license while speeding 21 to 30 miles over the posted speed limit could result in six points on a license. If you get a total of 11 points in 18 months, your license could be subject to suspension. You do not have to allow all of these things to simply happen to you. You have rights under the law, but it is up to you to exercise those rights. By working with a traffic tickets lawyer, you can force the state to prove that you actually broke the rules and you can present an effective defense so you at least have a chance of avoiding being found guilty of a traffic violation. It is important to talk with an experienced lawyer right away, as you must respond in the time designated on the ticket. Failure to pay the fine or fight the ticket could make your situation much worse, as ignoring a ticket can have severe consequences and could even result in a bench warrant for your arrest. The appropriate response to a traffic ticket will vary depending upon the nature of the violation and the evidence against you. If there is clear and convincing proof that you violated the law, your best option may be to explore ways to reduce penalties. Our firm will help you to determine if you can attend traffic school to avoid points on your license or if you have options of reducing penalties through admitting guilt to a less serious traffic violation. In many situations, you do not have to admit guilt and you can successfully fight a ticket. It does not matter whether your conduct was actually in violation of any traffic laws. What matters is whether the prosecutor assigned to your case can prove that you broke the rules. If a prosecutor cannot provide convincing evidence of your guilt, you should be found not guilty of committing a traffic offense. Many people who try to fight a ticket simply hope that the police officer who cited them won’t show up in court. This is a shortsighted strategy that leaves you with no options if the officer does attend the hearing. Instead of going unprepared with an unsound legal strategy, you should work with NYC traffic attorneys with experience. Our firm can help you to provide contradictory evidence, to call into question the evidence against you, to provide justification for your actions, to present witnesses contesting the claims made of wrongdoing, and to question witnesses to undermine the credibility of accusations against you. Whatever your situation, we help you to identify the methods of responding to the ticket that are most likely to result in a finding that you are not guilty of violating New York’s traffic laws. The right strategy can vary substantially depending upon the type of ticket you receive. A red light ticket is very different than a claim you were speeding or violating cell phone laws. The strategy we devise will be tailored to the type of violation and the evidence against you, with the ultimate goal of always resolving the case in your favor in a timely and efficient manner. The sooner our firm becomes involved in helping you to fight a ticket, the more effective we can be. As soon as you have been accused of violating any traffic laws, let us help. NY Traffic Firm has successfully helped many motorists throughout the state of New York to fight tickets. We know how the law works and can help you to protect your clean driving record and avoid or minimize the consequences that can come with a traffic violation. Give us a call today to find out how our legal team can help you.